If you’re not on Twitter (and why not!? ), you can also request via the Facebook page. If you don’t see your Twitter request appearing on this page then don’t worry, just wait a minute or two! 2019-04-14 17:59:01 @Cogbat/Paul Corfield Cheers @helenc77 @GinSoakedBoy for my request play and an enjoyable #80stm show this afternoon. 2019-04-08 22:11:50 @covlad192/covlad192 #80stm request Blue System, magic symphony or my bed is too big please. Doubt many people will of heard them before. 2019-04-07 17:58:44 @sjp040565/Stephen Parker Good work #80stm team. @helenc77 @GinSoakedBoy. Cheers for the Madonna impression request!! 2019-04-07 16:28:36 @covlad192/covlad192 #80stm wondering what was the other request you considered? 2019-04-07 16:23:31 @covlad192/covlad192 #80stm thanks for the request. I've got the first four modern talking albums. 80s holidays in Germany with family. 2019-04-07 16:15:31 @VeraKali1/El.Kali RT @covlad192: #80stm not sure if I have requested anything for today or not. Hopefully one may get played. 2019-04-07 16:07:21 @covlad192/covlad192 #80stm not sure if I have requested anything for today or not. Hopefully one may get played. 2019-02-10 16:47:30 @covlad192/covlad192 #80stm a request for Depeche Mode and Blasphemous Rumours or Fly on the windscreen. Thanks. 2019-02-10 16:23:44 @BryonyEvens/Bryony Evens Oh, superb request by someone! Can't believe Tinseltown hasn't been played on #80stm before! 2019-02-03 18:08:16 @Cogbat/Paul Corfield Cheers @helenc77 and @GinSoakedBoy for another eclectic #80stm show and the request play. 2019-01-29 10:39:53 @StartledJesus/Startled Jesus @snathe Indeed. Which I have just requested for #80stm Brilliant early track by the Finn brothers of Crowded House. 2019-01-17 08:11:10 @CWriggers/Carl Wrigley Hi #80stm, can I request “Sister Nancy - Bam Bam” please? 2019-01-13 17:58:28 @garek80/Gare Kekeke Thank you very much @helenc77 for playing my request for Beggar& Co. on #80stm. And well done for pronouncing my name right! 2018-12-23 01:17:23 @RealDaveMc/Dave McGarry Hey @EightiesTimeM can i request "i Believe - Tears For Fears" for the next #80sTM cheers! 2018-12-10 22:03:26 @Cogbat/Paul Corfield Cheers @helenc77 and @jonnyg for a great #80stm show and the request play. 2018-12-02 16:52:34 @Cogbat/Paul Corfield Madonna on #80stm? Surely not when @GinSoakedBoy is jointly hosting?! 😛 @heavenlyblue007 - your request is being played!! 2018-11-09 00:11:26 @sjp040565/Stephen Parker @EightiesTimeM can I request Call Me by blondie please. thanks #80stm. 2018-11-07 17:59:38 @helenc77/Helen Connole RT @EightiesTimeM: Next #80stm is Monday 12th Nov at 8pm https://t.co/abA7B2k2iL. Get those requests in! 2018-11-07 13:23:59 @JonnyG/Jonny G RT @EightiesTimeM: Next #80stm is Monday 12th Nov at 8pm https://t.co/abA7B2k2iL. Get those requests in! 2018-11-07 13:23:26 @EightiesTimeM/EightiesTimeMachine Next #80stm is Monday 12th Nov at 8pm https://t.co/abA7B2k2iL. Get those requests in! 2018-11-04 17:59:02 @Cogbat/Paul Corfield Cheers for today's #80stm and the request play. 2018-11-04 17:43:25 @sjp040565/Stephen Parker cheers the good people of the #80stm unfortunately missed my request but look forward to the catch up. 2018-11-04 17:05:46 @covlad192/covlad192 #80stm I can't recall if I put requests in for today or not. 2018-10-11 17:18:09 @RealDaveMc/Dave McGarry Hey @EightiesTimeM requesting "Tears For Fears - Memories Fade" again for the next #80sTM please. Ta! 2018-10-11 15:53:48 @GinSoakedBoy/Gin Soaked Requesting Someday by the Gap Band please @helenc77 for Sunday’s #80sTM if I’m not too late. 2018-10-08 21:47:36 @NoaxNOW/Andrew Spokes Cheers to the #80stm crew for playing my request. I will as ever catch up on Mixcloud! 2018-09-15 08:20:11 @WoodGreenAndy/Wood Green Andy Here’s a request for #80stm @helenc77 @Maysiebug ‘Waiting For The World To Turn’ by Bourgeois Tagg. Ta! 2018-08-16 22:36:18 @sjp040565/Stephen Parker as covered by the Mint Juleps and requested by me for the #80stm. 2018-08-13 19:43:03 @StartledJesus/Startled Jesus @bluejeanbaby01 Don’t tell @WinnSarah .She requested it on #80stm. I love it. Reminds me of the classic ‘White Rabbit’. 2018-08-05 21:59:01 @GinSoakedBoy/Gin Soaked Hello @helenc77 @EightiesTimeM please can I request Timex Social Club - Mixed Up World for next week's #80sTM? Thank you! 2018-07-08 18:01:32 @BryonyEvens/Bryony Evens Excellent #80stm, thanks @helenc77 and @JonnyG and all the requesters! 2018-07-01 22:25:27 @sjp040565/Stephen Parker @helenc77 Repeat request for WHYDFML for next weeks #80stm?? 2018-06-10 17:25:45 @empresstouch/Carl Burgess #80sTM Sorry, but this was a Craig Bridgewater request of early 2017! 2018-06-08 21:48:01 @sjp040565/Stephen Parker @helenc77 @Maysiebug a #80stm rerequest for Strange Town if not too late please. thanks. 2018-06-05 18:09:31 @emma_emblows/Emma Draper #80stm Request please for Steve Winwood - Back in the high life again. Many thanks indeed! 2018-05-10 18:52:59 @doermouse/doermouse #80stm how about lovebug starski's Amityville as a request for a future show. 2018-05-10 18:49:45 @doermouse/doermouse #80stm can I request Kate Bush - Running up that hill please? 2018-04-29 18:15:16 @Cogbat/Paul Corfield Couple of requests for May's #80stm shows Undertones - Wednesday Week Hohokam - Don't you know Ta! 2018-04-15 19:19:29 @heavenlyblue007/Lou @BryonyEvens @xmorphscabinet I haven’t done a request for 80stm, so that narrows it down! 2018-04-08 13:05:04 @Darker_Horse/Nic Enjoying @rhpbates' request on my #80sTM catch up! 2018-03-04 17:39:48 @covlad192/covlad192 #80stm thank you for playing my request. Its in my top 10 all time. 2018-03-04 17:31:29 @sbuma1/William Barlow Bruce Hornsby and the Range on #80stm your request, @covlad192 ? 2018-03-04 17:30:27 @covlad192/covlad192 #80sTM has Cry by Waterfront been on before? If not please can I request it. Thanks. 2018-03-04 17:14:03 @covlad192/covlad192 #80sTM if its not been on before, request Belouis Some and Some People, George Michael, Monkey. Erasure, reunion. Thanks. 2018-03-04 16:40:23 @covlad192/covlad192 #80stm future request, Richard Marx, Don't mean nothing. Thanks. 2018-02-07 19:08:33 @emma_emblows/Emma Draper #80stm Request if I'm not too late please for Talking Heads - And She Was. Many thanks! 2018-02-06 05:38:04 @finjoelsam3/Craig Bridgwater RT @finjoelsam3: Request for Theme for great cities by Simple Minds to be played on #80stm for test card corner feature please. Thanks. 2018-02-05 20:02:27 @finjoelsam3/Craig Bridgwater Request for Theme for great cities by Simple Minds to be played on #80stm for test card corner feature please. Thanks. 2018-02-04 17:39:00 @WinnSarah/Sarah Winn Request for Help by Bananarama for next week’s #80sTm please @JonnyG & @helenc77 @EightiesTimeM It’s definitely just as good as Snot Rap. 2018-01-13 00:16:12 @RealDaveMc/Chester VodkaPot Request for #80sTM @EightiesTimeM Yazoo - Situation if it hasn't been played yet? Cheers! 2018-01-11 22:18:07 @filtercoffee123/Matt Freake #80stm lost track of when the next show is, but can I request the unbelievably good Systems Breaking Down by Anna please? 2018-01-07 18:01:40 @Cogbat/Paul Corfield Thanks for a great #80stm show this afternoon and for a request play. I owe @helenc77 a drink if I ever make it down to Exeter. 2018-01-07 17:58:53 @sjp040565/Stephen Parker Excellent show #80sTM team. Repeat request for 10cc Run Away for next week please. Cheers. 2017-12-17 11:16:14 @covlad192/covlad192 #80sTM if its not been on before, can I request A photographs of you by Depeche Mode for next show please? Thanks. 2017-12-11 21:58:44 @JBOwl2/JBO Great show and my hat-trick is up! Requests ignored by #90stm , #80stm and now #70stm ! 2017-12-10 16:22:56 @sbuma1/William Barlow Fire and Ice by Pat Benatar on #80stm your request, @sjp040565 ? 2017-11-27 22:42:19 @Cogbat/Paul Corfield Requests for Dec #80stm shows Any of Nitzer Ebb - Control I'm here ABC - How to be a millionaire Art of Noise - Moments in Love Ta! 2017-11-20 18:46:25 @BryonyEvens/Bryony Evens Just catching up on last week's #80stm - great Associates request @Allie_lufc! 2017-11-12 16:22:50 @rmwhite21/Richard M. White Some culture on #80sTM! Thanks for playing my request!!!! 2017-11-08 21:02:24 @gothpunkdad67/Jay @MsTransSam I requested Flesh For Lulu - Roman Candle On 80sTM last weekend. Turns up on the other show. Coincidence? 2017-11-08 15:56:28 @snathe/Him Over There Catching up with #80sTM from the weekend - kudos to @neilsmiles for the Tony Sherman request! 2017-11-07 15:50:28 @Cogbat/Paul Corfield Couple of requests for #80stm Nitzer Ebb - Control I'm here PIL - this is not a love song Grace Jones - Private Life Ta! 2017-10-27 15:55:47 @NoaxNOW/Andrew Spokes Hey #80stm - I've got a request for you. 'The Blue Sky' by a-ha please! 2017-10-24 23:15:54 @Cogbat/Paul Corfield @EightiesTimeM Requests for I Scare Myself by Thomas Dolby The Smile & the Kiss by Chant of Barry Flynn/Bonk for the Nov #80stm shows. Ta! 2017-10-24 20:48:04 @neilsmiles/Evil Slime 🎃 Hello @EightiesTimeM I'd like to request this (Ellove-ee by Tony Sherman) for a future #80sTM. Cheers! 2017-09-24 13:14:00 @Cogbat/Paul Corfield @EightiesTimeM A request for I Scare Myself by Thomas Dolby for the upcoming #80stm shows. Ta! 2017-08-28 22:10:15 @sjp040565/Stephen Parker @EightiesTimeM #80stm request for Toni Childs and Don't Walk Away please. thanks. 2017-08-26 09:28:40 @finjoelsam3/Craig Bridgwater #80stm I would like to request Wish You Were Here by Simple Minds from '85 LP Once Upon a Time. Thanks. 2017-08-13 17:31:32 @sjp040565/Stephen Parker appears my #80stm request has divided opinion as most of mine seem to do to be fair. 2017-08-13 16:21:59 @OKaneStephen/Stephen O'Kane Thanks #80stm I think this is my request. 2017-08-06 17:47:45 @OKaneStephen/Stephen O'Kane #80sTM May I request 'Into The Fire' by Hitlist , if you can. 2017-08-06 17:42:49 @covlad192/covlad192 #80sTM not sure if you can find it or have played it request Sandra and Mary Magdalene please. 2017-08-06 17:00:54 @covlad192/covlad192 #80sTM request for just got paid by Johnny Kemp please? Thanks. 2017-08-06 16:53:19 @covlad192/covlad192 #80sTM thanks for playing my request and for the shout out. 2017-08-06 16:32:01 @covlad192/covlad192 #80sTM can I request Route 66 by Depeche Mode please? Thanks. 2017-07-27 21:34:21 @NoaxNOW/Andrew Spokes @EightiesTimeM Request for next #80stm - Right Before My Eyes by Patti Day. A lesser heard piano house track. 2017-07-24 15:19:04 @covlad192/covlad192 #80sTM can I also request For spacious lies by Norman Cook, Flexible by Depeche Mode or Just got paid by Johnny Kemp. Thanks. 2017-07-24 14:29:42 @covlad192/covlad192 #80sTM for the next show, request sea of sin or but not tonight by Depeche Mode please? 2017-07-09 17:46:59 @covlad192/covlad192 #80sTM one more request for the next show, Norman Cook for spacious lies please. 2017-07-07 18:38:26 @sjp040565/Stephen Parker @MyEighties can I request Darts and Lets Hang On please. #80stm. thanks!! 2017-07-02 17:38:17 @BryonyEvens/Bryony Evens Good work @leespoons and @finjoelsam for your excellent #80stm requests! 2017-07-02 17:18:43 @covlad192/covlad192 #80sTM request the beloved, the sun rising please? 2017-07-02 17:15:23 @covlad192/covlad192 #80sTM request icing on the cake by Stephen tin tin Duffy please? 2017-07-02 16:28:11 @covlad192/covlad192 #80sTM request but not tonight by Depeche Mode for the next show please? 2017-07-02 16:14:25 @covlad192/covlad192 #80sTM few more requests for next show please? Level 42 the chant has begun, Frankie goes to Hollywood rage hard. Thanks. 2017-07-02 16:05:58 @covlad192/covlad192 #80sTM for the next show can I request belouis some and some people please? 2017-06-28 21:20:15 @mango_24/Sang @Shadow_Chaser @Poloneckpolice I've requested it for the #80stm this week. Fingers crossed!! 2017-06-28 04:11:04 @Maysiebug/GiltterMaysiebug ✨❄️ @EightiesTimeM HHHIIIIII! Can one request Kylie - I wouldn't change a thing please #80stm TA! 2017-06-11 17:32:23 @covlad192/covlad192 #80stm request the chauffeur by Duran Duran please for a future show? 2017-06-11 16:55:29 @covlad192/covlad192 #80sTM few more requests, Terry Hall, missing and Norman Cook for spacious lies. Two fantastic songs IMO. 2017-06-11 16:49:47 @OKaneStephen/Stephen O'Kane #80sTM Can I request 'The Great Commandment' by Camouflage for next month? Thanks. 2017-06-11 16:36:52 @covlad192/covlad192 #80sTM request for a future show, Level 42 The chant has begun. Thanks. 2017-06-06 18:53:35 @RealDaveMc/Dave McGarry Request for #80sTM please @EightiesTimeM @helenc77 @JonnyG Cocteau Twins - Pearly Dewdrops Drops or Yazoo - In My Room Cheers! 2017-06-06 03:21:10 @covlad192/covlad192 #80sTM thanks for playing my request last show. 2017-06-06 02:21:02 @covlad192/covlad192 #80sTM for the next show can I request a Depeche Mode album track? But not tonight. 2017-06-05 21:50:32 @sjp040565/Stephen Parker #80stm @EightiesTimeM Can i request the Freshies and The Manchester Megastore Check Out Desk thingy for next show please. Thanks. 2017-06-05 19:17:17 @GinSoakedBoy/Gin Soaked Evening @helenc77 please can I request I Can't Let You Go by Haywoode for this Sunday's #80sTM? Thanks in advance! 2017-06-04 17:19:06 @finjoelsam3/Craig Bridgwater Thanks for playing my Associates request on #80sTM. Enjoying quite a few songs I'm not familiar with today. Great to hear Rattlesnakes too. 2017-06-04 16:54:01 @empresstouch/Carl Burgess #80sTM Did I just hear Prefab Sprout as a request? Unusual, but a good one. 2017-06-04 16:02:52 @filtercoffee123/Matt Freake #80sTM do you play remixes? Can I request the Arthur Baker version of Fleetwood Mac's Big Love for next week? 2017-06-02 11:45:09 @RealDaveMc/Dave McGarry @EightiesTimeM Can i request ZZ Top - Rough Boy please #80sTM Cheers!! 2017-05-14 17:50:50 @covlad192/covlad192 #80sTM just one more request for a future show, Alphaville forever young please? 2017-05-14 17:24:46 @covlad192/covlad192 #80stm for a future show request for Richard Marx, don't mean nothing, Level 42, the chant has begun please? 2017-05-14 17:19:27 @covlad192/covlad192 #80stm how is best way to make requests for next week please? 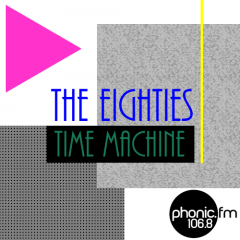 2017-05-07 18:02:23 @finjoelsam3/Craig Bridgwater Despite gremlins great #80stm show.Let's hope that other 80's show which starts soon is as good.Thanks for playing ABC request,appreciated. 2017-05-07 17:24:54 @46yearsofhurt/It's Van Gool Just tuned into #80stm Great DM track on!! Can I request Josephine by Chris Rea please!! Ta! 2017-04-14 21:23:01 @Royalridge/SilentHusband #80stm Request: Aerosmith, Young Lust. (Pump Sep. 1989) a thumping opening to one of Aerosmith's finest albums.